If you are happy to use the online shop that’s great. Otherwise for a price list, order form or any other query about ordering our wine, please contact us. Orders are only available to those above 18 years of age. Under the Liquor Control Reform Act 1998 it is an offence: To supply alcohol to a person under the age of 18 years (Penalty exceeds $6,000). For a person under the age of 18 years to purchase or receive liquor (Penalty exceeds $500) Please consume alcohol responsibly. We deliver in 6 bottle packs so please order in 6 bottle amounts. Minimum order – 6 bottles. Orders are dispatched within 2 business days of payment being processed. Shipping times are between 3-7 business days depending on your location within Australia. If we are unable to dispatch your order we will notify you within 2 business days. 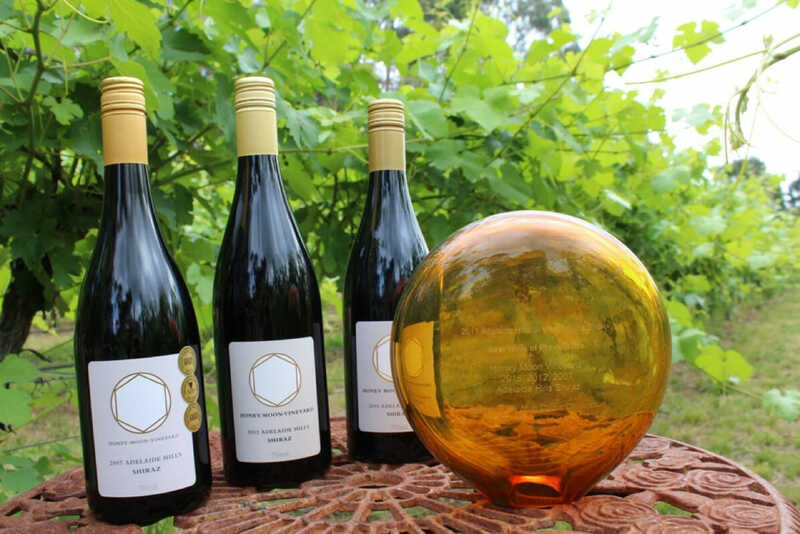 Honey Moon Vineyard only delivers wine within Australia, we do NOT accept international orders through our website. Australia Post ships our wines Australia wide. Secure Payments can be made by PayPal, Credit Card or Debit Card. Please choose carefully. We do not provide refunds if you simply change your mind or make a wrong decision. Refunds will be given in compliance with consumer rights. Honey Moon Vineyard respects your privacy.